Pakistan Tehreek-e-Insaf (PTI) and Mutahidda Qaumi Movement- Pakistan (MQM-P) have filed petitions in the Supreme Court, urging it to review its Feb 6 verdict in the case. The PTI plea urged the court to review its order, especially its paragraph 22. The PTI in its plea said that SC should review its verdict as it has mentioned the party’s 2014 sit-in in the decision. While MQM-P adopted a stance that paragraph 22 of Faizabad sit-in verdict has compared Faizabad sit-in with May 12 massacre, which should be reviewed says MQM-P in a petition. Both the parties requested the apex court to review its decision. 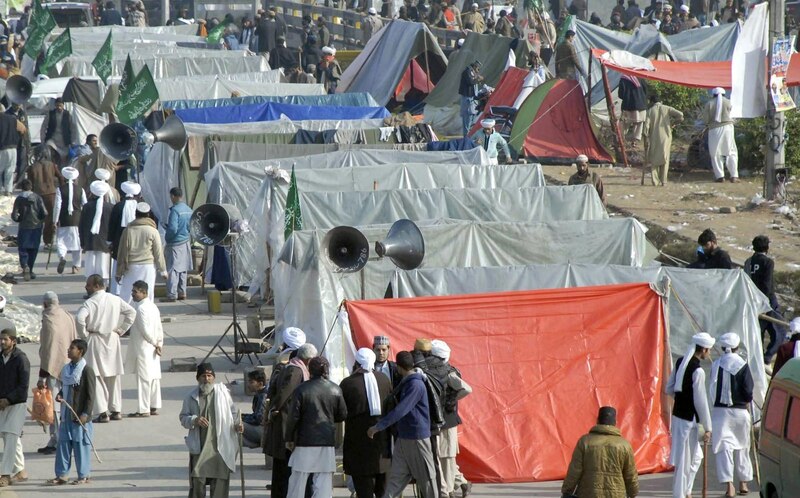 On Feb 6, 2019, the Supreme Court had ordered action against extremist elements in the written verdict issued for the suo-motu case pertaining to Tehreek-e-Labbaik’s (TLP) 2017 Faizabad sit-in. The 45-page long judgment, was penned down by Justice Qazi Faiz Esa. The Constitution earmarks the responsibilities of the Election Commission which it must fulfill. If a political party does not comply with the law governing political parties then the Election Commission must proceed against it in accordance with the law, the judgment reads. The law is most certainly not cosmetic as contended on behalf of the Election Commission. All political parties have to account for the source of their funds in accordance with the law.